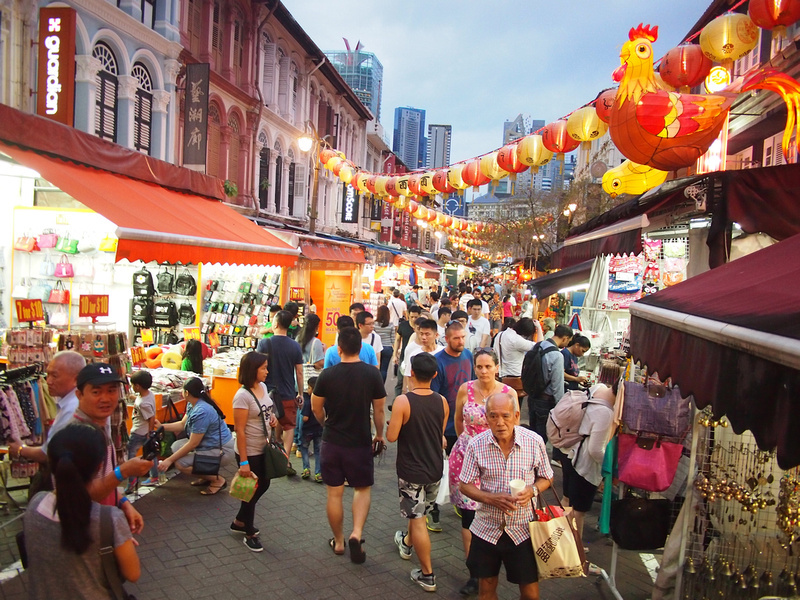 For budget backpackers travelling around Southeast Asia, arriving in Singapore may be a shock to the system after staying in cheap guesthouses. 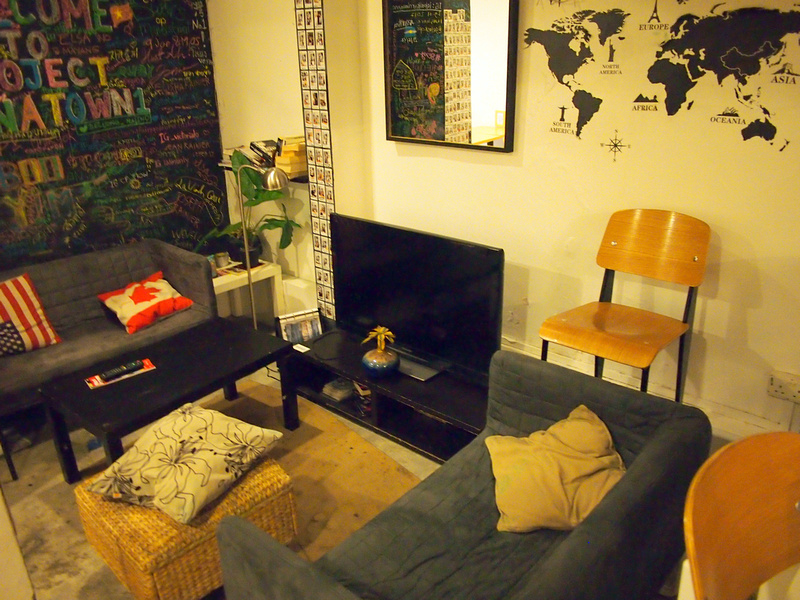 The good news is that there is a thriving hostel scene happening in Singapore. One of the prominent hostels is the 5footway.inn group, which has a selection of properties in prime locations in Singapore. 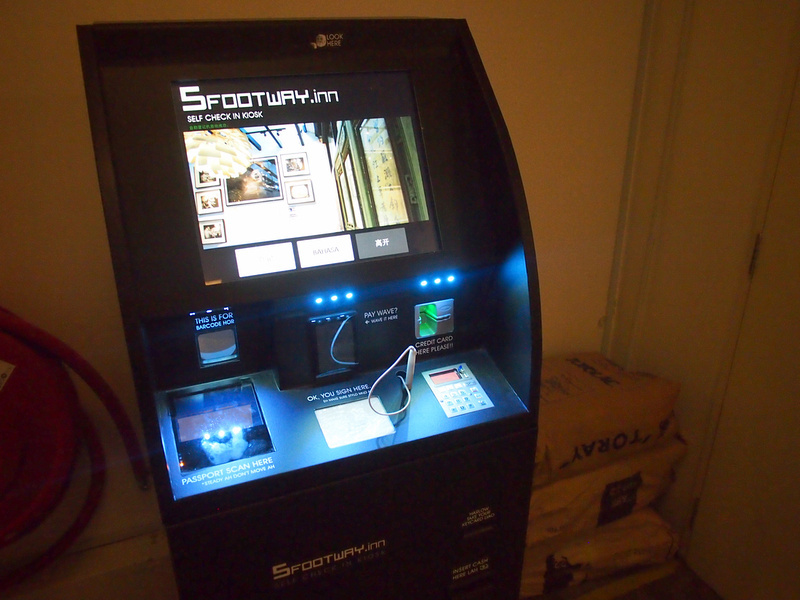 I stayed as a guest of 5footway.inn to review some of their properties. 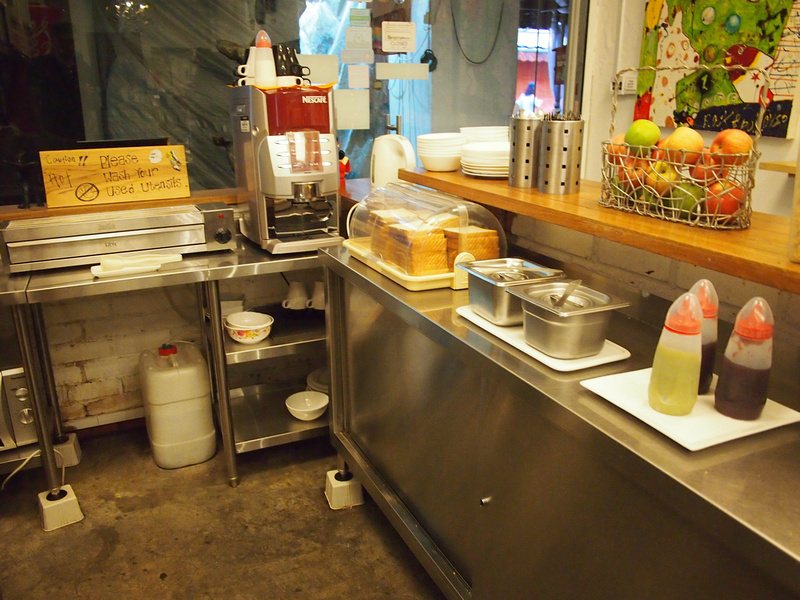 This review is for the 5footway.inn Project Chinatown 1. Project Chinatown 1 is located on Pagoda St in the heart of the Chinatown action. One of the Chinatown metro station exits is at the start of Pagoda street, where you emerge from underground to a market street lined with colourful historic buildings. 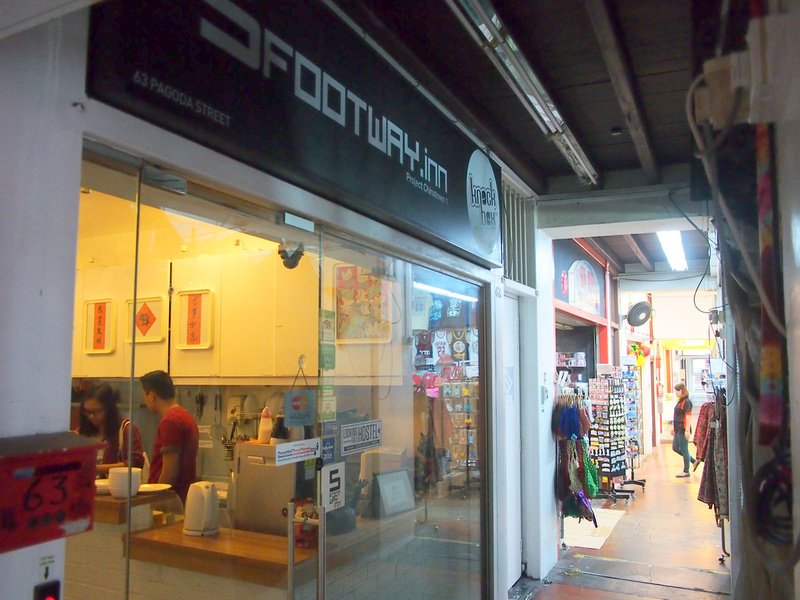 5footway refers to the five-foot ways of the old colonial-era shophouses. In front of these style of properties is a covered walkway that is five foot wide. The hostel in Chinatown is in one of these historic shophouses, hiding behind the market stalls. While waiting to check in I noticed a fancy auto check-in machine, but I went old-school and got a person to check me in. 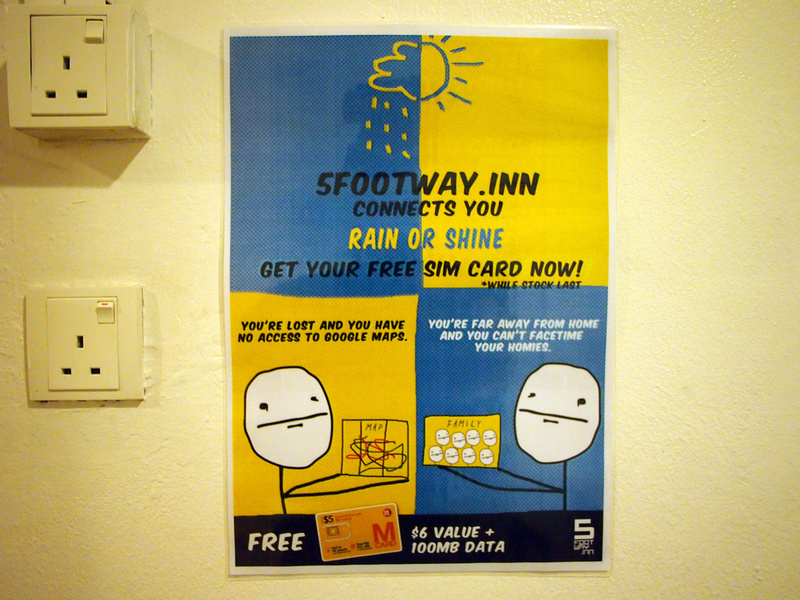 The hostel was giving free sim cards upon arrival, which was a nice touch. I had just arrived from the airport and had not had time to get a Singapore sim card. You need to top it up to use internet, but there is enough on there to get you started. It’s just one less thing to worry about when you arrive. I got a private room, which was a single bunk bed room. 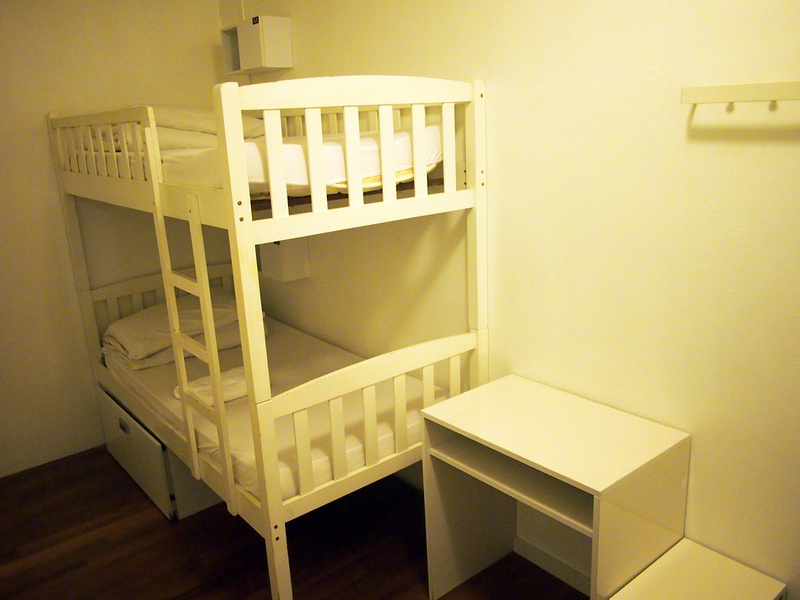 This is a typical private hostel room, giving you privacy with the basics. Staying in a private room in a hostel is a good alternative if you are still a backpacker at heart but don’t want to stay in a dorm. 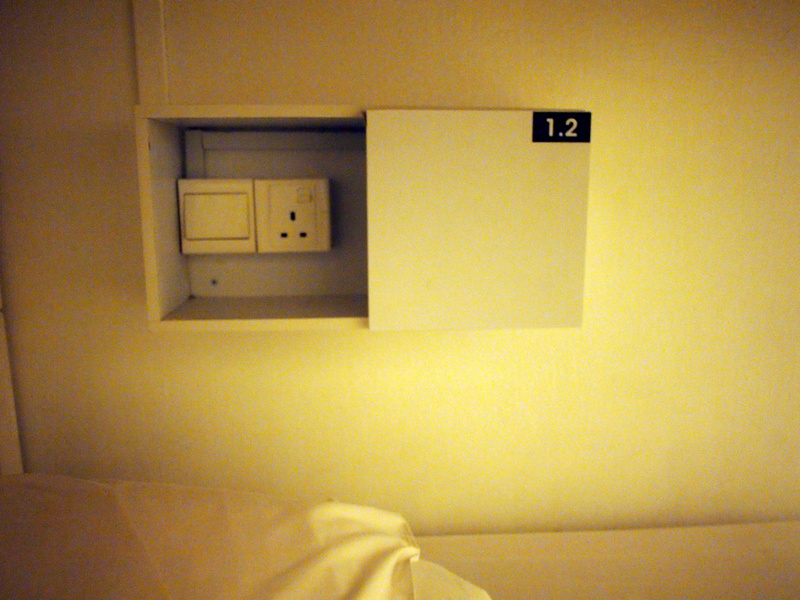 The beds have their own little phone boxes with power outlets in them. This is becoming a common feature in hostels now, with overnight charging becoming a necessity for most people. 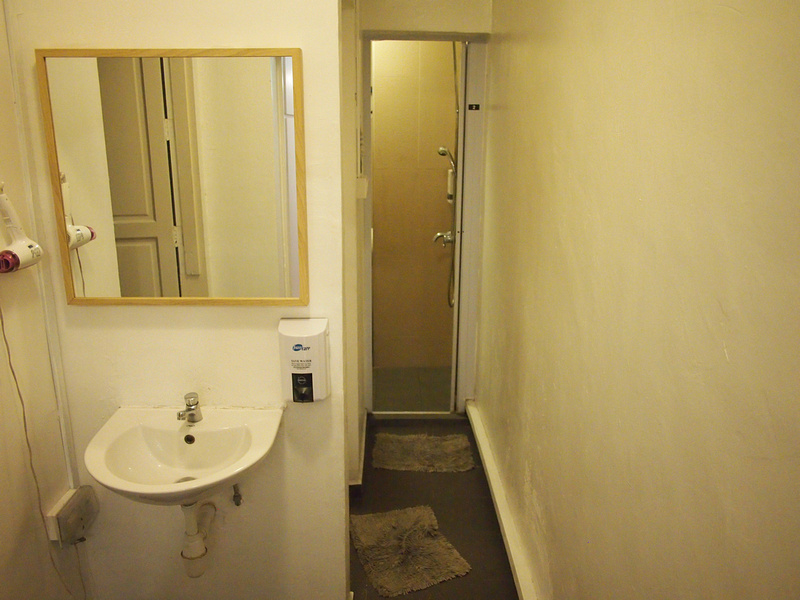 The private rooms have shared bathrooms, which is of toilet/shower room variety. There is a free breakfast service available which is served in the front reception area. Breakfast consisted of cereal (cornflakes), toast, fruit, and tea and coffee. As with any hostel, make sure you clean up after yourself. There was good wifi throughout the building with only one login needed to access the wifi on any floor. 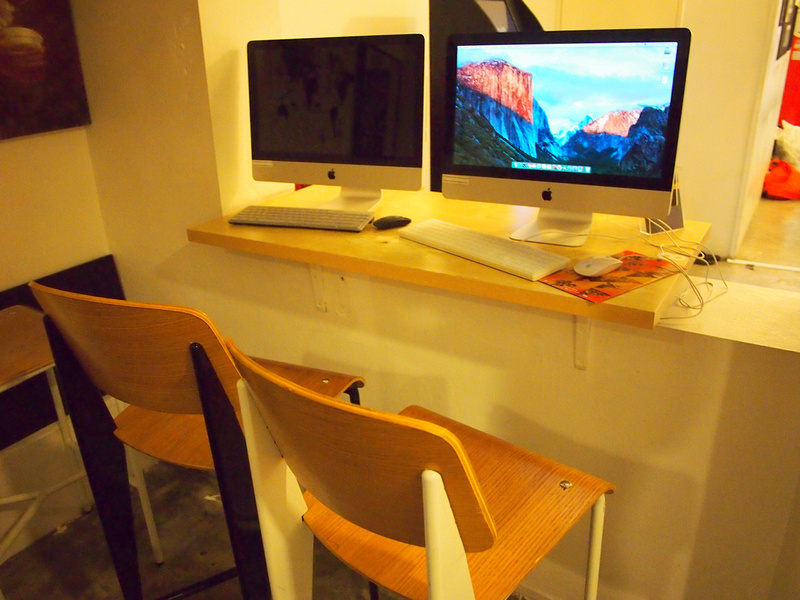 For the few remaining travellers in the world without a device there are public computers (and Macs at that!) in the common area. One of the good things about staying at a hostel over a cheap hotel is having the opportunity to meet fellow travellers in the common area. There is a little lounge where you can hang out if you want to meet other people. 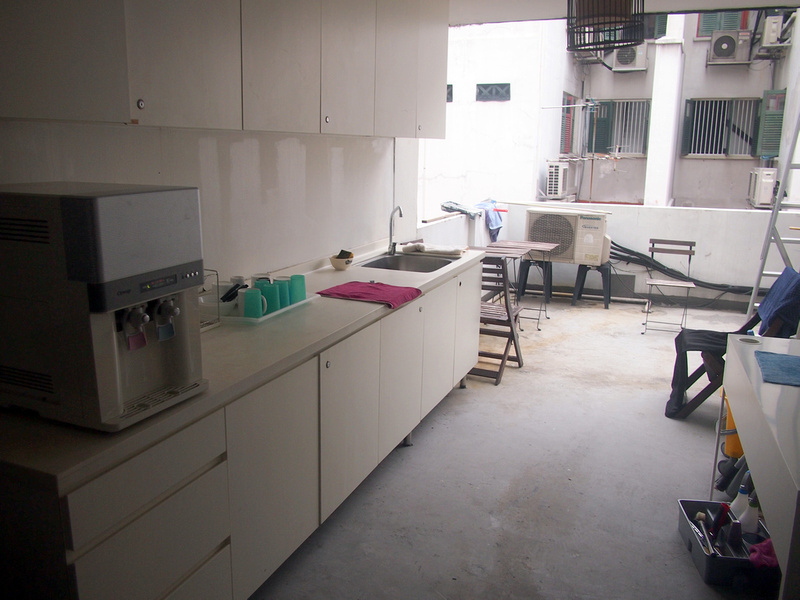 Next to the lounge are some communal tables if you are preparing your own food. There is also another social space on the back terrace, which has an open and covered area. There are tea and coffee facilities here. 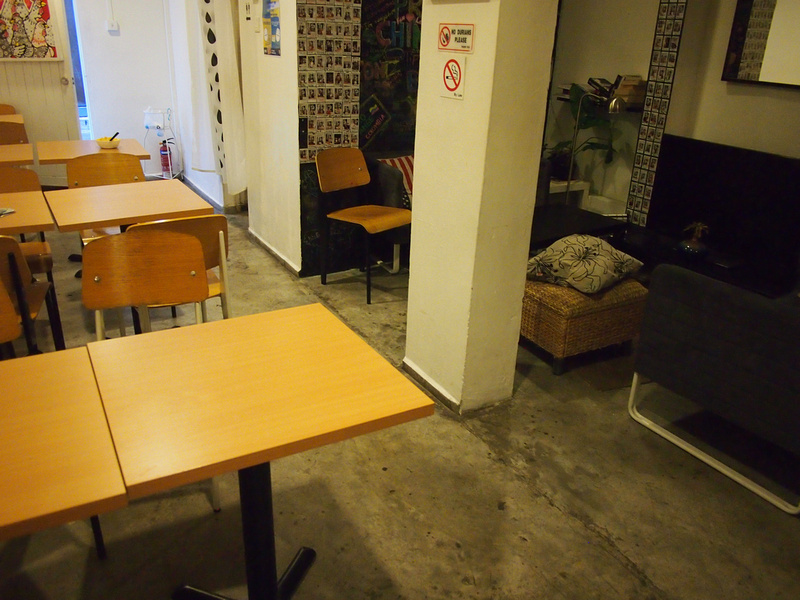 Overall this was a great hostel experience in Singapore. it’s prime location in Chinatown makes it easy to walk to most of the historic sites, as well as having an amazing range of eating options nearby. Staying in a historic shophouse also makes for a more interesting stay. Also see my other reviews of other 5footway.inn properties – Project Ann Siang and Project Boat Quay.